Those trying to lose weight or improve their health can meet their goals more easily if they can keep away cravings for foods. This will help you remain satisfied throughout the day so you can remain focused on the things you need to get done and exercise more effectively. Protein, fiber and fat are generally considered to be appetite suppressants because it takes longer for these items to move through the digestive system so you will not feel hungry as quickly. Avocados are creamy because they contain monounsaturated fats that digest very slowly, which can help them suppress your appetite. 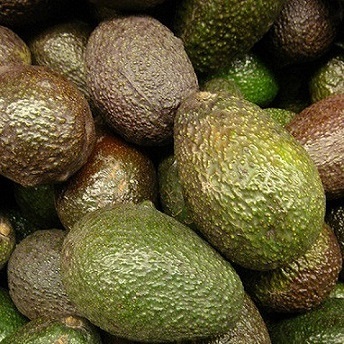 Avocados are also high in fiber that can slow down digestion. Flaxseeds are very high in omega-3 fatty acids, fiber and protein which can help to suppress your appetite. 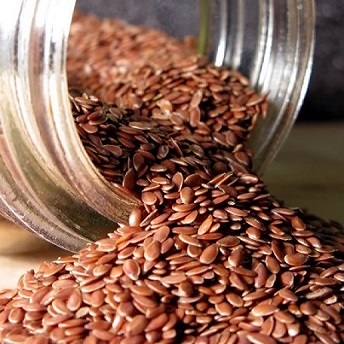 A Danish study noted that patients given 2.5 grams of flaxseed or around a heaping tablespoon felt fuller than those that were provided a placebo. The group provided a dose of flax ate less than the other group at lunch a few hours after the doses were administered. 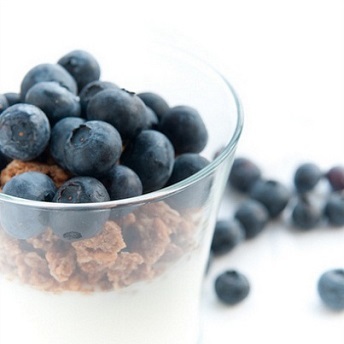 Greek yogurt is made by straining much of the whey from the mixture to concentrate the nutrients. This makes the yogurt thick, creamy and packed with protein so it will make the body feel full longer. “Greek style” yogurts are not the same as traditional Greek yogurt. They may be thicker. This is because more cream has been added, which will make these options very high in fat. Water moves through your digestive system very quickly, but this can help to decrease your appetite because many times thirst is mistaken for hunger. Sipping on water throughout the day can keep you alert so you will not feel the need to drink coffee or eat a candy bar to get a temporary energy boost. Sipping on water will also prevent your stomach from emptying completely so you will not feel as hungry. 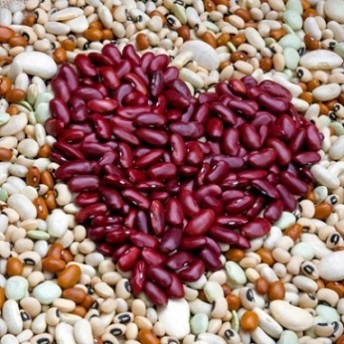 Legumes include peas, beans, chickpeas or lentils providing vegetarian proteins which can be added to salad, chili, soup, stew and other dishes. Lentils are very high in complex carbohydrates or soluble fiber that can be digested slowly so you will not feel as hungry. Legumes also contain trypisn inhibitors which can help to reduce the body’s production of cholecystokinin to help your stomach empty more slowly. Eating soup on its own may not be satisfying, but using this as a snack or appetizer can help you control your portion sizes. 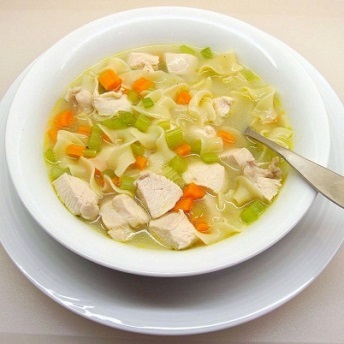 A study at Penn State University noted that eating chicken rice soup before lunch made subjects feel fuller and they consumed 100 less calories when served a glass of water or a chicken casserole made from the same ingredients. Selecting chunky soups made with vegetables rather than a cream based soup can encourage chewing and provide a low-fat option to trick your body into thinking you have had a larger meal. 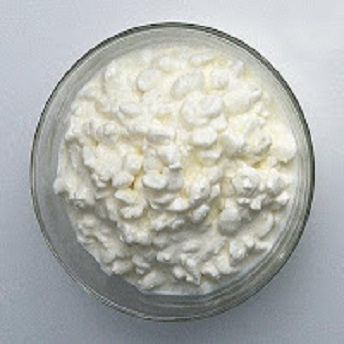 Cottage cheese is much lower in fat than most other cheeses. It is also high in proteins like casein which can suppress your appetite. Oatmeal has a thick texture as it is filled with beta-glucan fiber which travels very slowly through the digestive system. 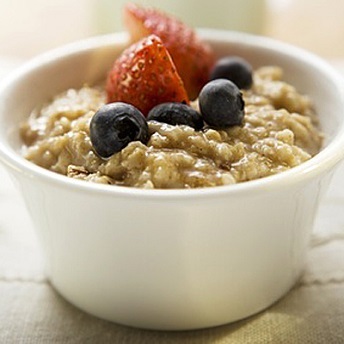 Oatmeal also helps to lower cholesterol by removing bile from the body, so the body will use cholesterol to produce more. 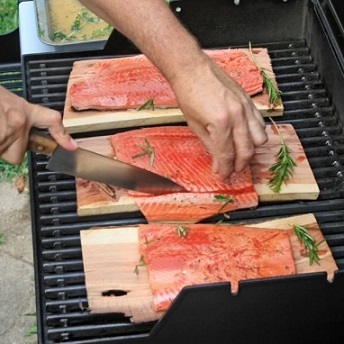 Meat with high fat and protein contents will be digested slowly. You will also need to chew meat more thoroughly to help you feel fuller longer. Feeling full after eating meat is a learned behavior, so it will take time for this to make you feel full psychologically. 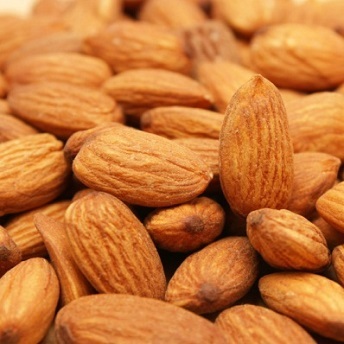 Almonds contain high amounts of healthy fats, which can help you feel full if you are careful about how many you eat. It will take around half an hour for you to feel full from eating nuts, so this may not be the right solution if you are very hungry. Appetite suppressing drugs trick the body into believing you are not hungry or are full by increasing catecholamine or serotonin. These chemicals in the brain help to set your appetite and mood. Appetite suppressing drugs can be taken in extended-release capsules or tablets. You can obtain these drugs over the counter or with a prescription. Phentermine and Belviq . One of the most common prescription appetite suppressants is phentermine. The FDA also approves Belviq for those that require long term treatment for obesity. These medications can cause tiredness, dizziness and headache when used. Qsymia. Qsymia contains a combination of phentermine and topiramate, a common medication for seizures and migraines. Topiramate encourages weight loss by increasing a feeling of fullness and calorie burning, and making foods taste unappealing. Qsymia can be taken long-term but should not be taken by those that are pregnant. You may only get this drug at a certified pharmacy. Natural appetite suppressants can be taken in addition to consuming nutritionally dense superfoods to help reduce your total food intake. Using suppressant supplements while drinking a lot of water can help you to metabolize stored body fat to promote weight loss as well. Pine Nut Oil from Wellness Sources. This appetite suppressant is filled with pinolenic acid which helps to modulate the appetite. Fucoxanthin with PinnoThin. This supplement contains pine nut oil and fucoxanthin, a seaweed extract which helps to block the appetite while providing phytonutrients that can boost your overall health. WellBetX PGX from Natural Factors. This supplement helps to provide soluble fiber while blocking sugar. This helps to slow the levels that carbohydrates enter the bloodstream so you will feel fuller longer. It is usually better to take a natural appetite suppressant rather than using medications because natural supplements do not cause side effects like irritability, dizziness, sleeplessness or upset stomach.